“Behind every recipe you love is a story you want to share.” With that philosophy in mind, longtime friends Bill Rice and Chip Lowell formed the Great Family Cookbook Project, a website for collecting recipes and creating cookbooks. 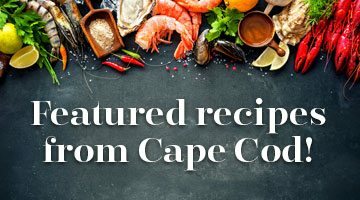 What began 12 years ago as a way for Rice, a Wellfleet resident, to compile all of his family’s beloved recipes has turned into a successful business that has amassed more than 1.2 million recipes, and printed tens of thousands of cookbooks for customers across the United States and Canada. Creating a cookbook through the Family Cookbook Project is as easy as signing up on the website to become a member (memberships start at $7.95 per month) and uploading recipes. Through the site, users can invite their family and friends via email to contribute recipes. Not only does this method allow everyone to get in on the cookbook-making fun, but it also makes the recipe-collection process much easier, says Rice.